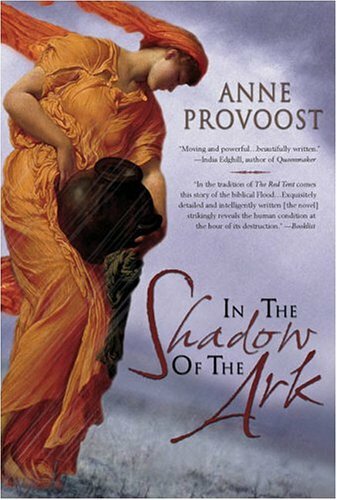 I just finished it, this book written from the point of view of a woman at the site of Noah's Ark. The scenes are still lingering in my head. Although I am still not sure what to make of the story, I was deeply impressed with the way Provoost paints the atmosphere, the shipyard in the desert becoming greener and greener at first, more humid, until the water seems to ooze out of the rocks. Truly recommendable, for avid bible readers and non-believers alike. It was the first time I read an English book that was originally written in my own language. Praise to the translator! een donatie voor de Teuge-bibliotheek.